Every year, we see more evidence that Toronto is making a stronger and stronger impact on the world of architecture and design, not just within Canada but also globally. The most recent case of a Toronto condo development being praised on the other side of the world is Amexon Development’s success at the International Property Awards, based in England. The International Property Awards are judged by a panel of 80 developers, architects, designers and other real estate professionals from around the world. 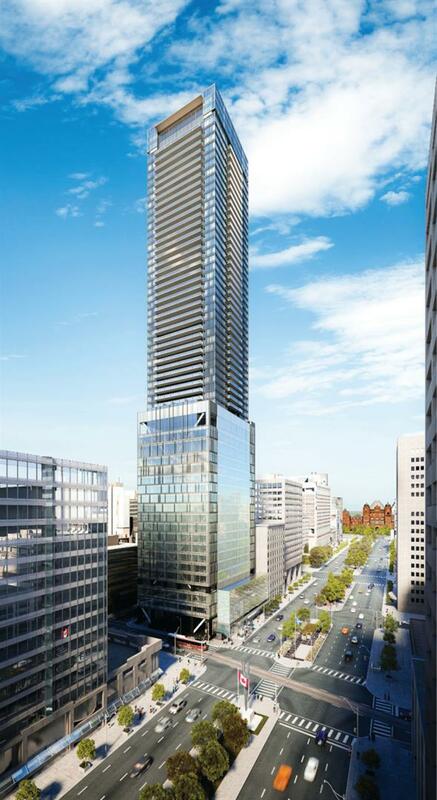 The striking, award-winning, 55-storey tower was designed by CORE Architects, and the interiors were designed by II By IV Design, both of which are highly established and very successful firms based in Toronto. The suites at 488 University range from 544 to 1,620 square feet, with a wide selection of one-, two-, and three-bedroom layouts. Many of the one- and two-bedroom plans have dens as well. Some of the high quality interior features and finishes that helped win the Best Interior Design Canada award include hardwood flooring, stone tile, European style appliances, and marble walls and floors in the ensuites. The balconies at 488 University are also very spacious, adding a ton of room for entertaining. The largest balcony size reaches up to 273 square feet. That’s like having a whole other outdoor living room! 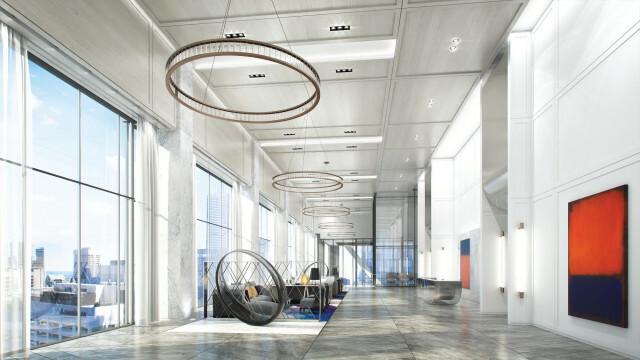 488 University features 30,000 square feet of amenity spaces, including a fitness centre, indoor and outdoor pools, a two-storey SkyLobby with an outdoor terrace, and a podium restaurant on the second floor. There is also a yoga studio, conference room, billiards area, a squash court, a spinning studio, and other health and wellness focused areas. Located at University and Dundas, the condo is right on the subway line where the Financial District and Grange Park neighbourhoods meet. This area offers the high class sophistication of Toronto’s booming business world mixed with the diverse cultural amenities of one of Toronto’s trendiest hot spots. 488 University is steps from the University of Toronto, the Eaton Centre, many financial towers, as well as the incredible restaurants and shops of Baldwin Village. It really doesn’t get more central than this. 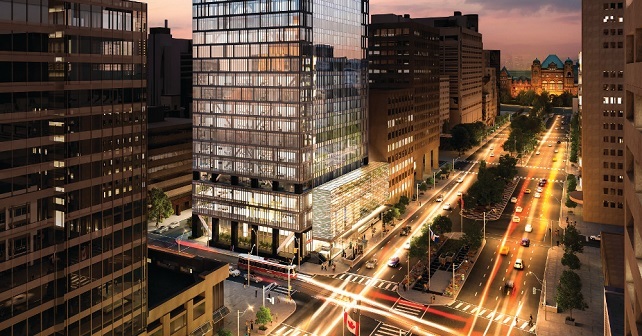 The presentation gallery at 393 University Avenue is open seven days a week from 10 am to 8 pm, which means you can learn more about the award-winning, internationally recognized condo development today! There is only a handful of suites remaining, so you probably shouldn’t wait much longer to visit the presentation gallery. You can also call 416-252-3000 for more information.